Use Your Existing Downlight Frames! This Lumex LED dimmable downlight has been specifically designed to suit both 70mm and 90mm cut-out frames making it the ideal retrofit into your existing frames. This LED downlight can be DIY'd into your existing downlight frame and it comes with a standard Australian power plug (most new houses have power points in the ceiling for lighting - if you don't then your electrician can wire it in minutes). Replacing the whole light fitting is a superior concept to just replacing the halogen globe. There are LED globes that replicate halogen globes. However, they are constrained by the traditional size of of the halogen globe and therefore have smaller heat sinks and therefore shorter life expectations. In simple terms: we suggest a replacement of the entire light and transformer set-up rather than just the globe. That way you can be completely assured of its compatibility with your household electricity and dimmers, and get the most out of the new technology. The design and construction of this light sets it apart from many on the market. It is designed to replace the entire existing downlight fitting. It will simply fit in a standard 70mm OR 90mm diameter (halogen down light) ceiling hole. IMPORTANT: Unlike most LED lights on the market, the LED transformer (driver) that comes in this kit has been specifically manufactured for and tested within the Australian market. This means it is capable of modulating for Australia's variable power surges and spikes, and it will operate with standard dimming switches. 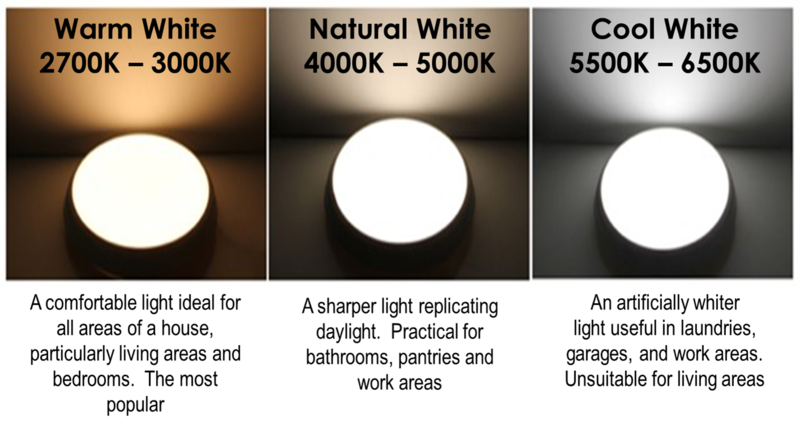 All Lumex products utilise the latest high efficiency LED technology and the most innovative ways of applying it. The Lumex range is extensive and ever expanding as we strive to continue to supply ongoing innovation, high energy efficiency, assured quality and consistent value to our many customers across residential, commercial and industrial sectors. This light is rated for an amazing 50,000 hours. So you can use it 5 hours a day and still expect it to last more than 25 years! Once you appreciate this you will understand that there is no need to fit replacement globes. This "all-in-one" light will last so long that it is regarded as a permanent fixture. It achieves its long life rating by its large 'heat sink' design - this keeps the light cool to touch and prolongs its life. 7 year manufacturer warranty against manufacturing faults, simply fill out the Gold card inside the Packaging. If the transformer is being hard-wired it must be installed by a qualified electrician to maintain warranty. See product documentation and our Returns and Warranties Policy.